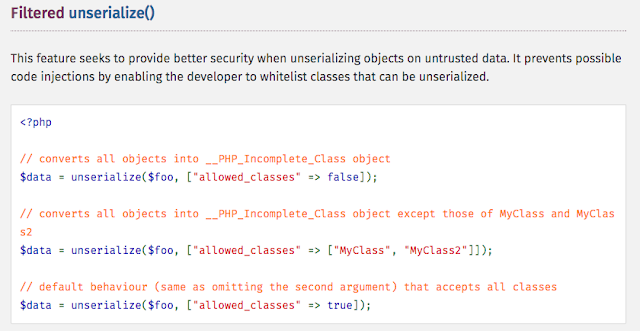 PHP 7 has introduced options parameter in infamously abused unserialize function. 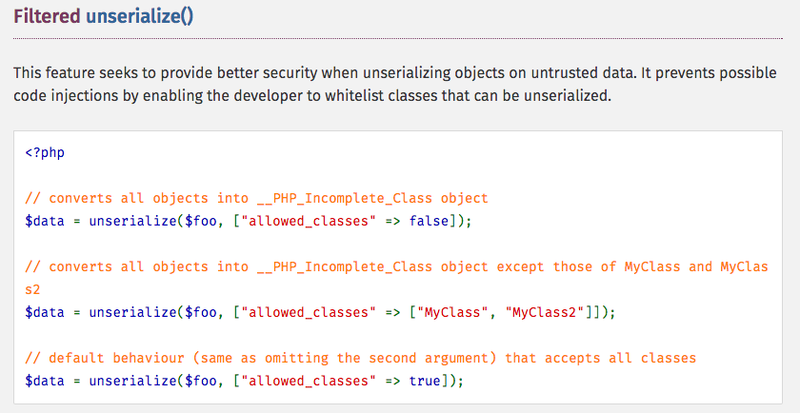 This options parameter enables developers to explicitly define allowed classes to prevent potential code injections. Hope other languages can inherit from this approach.